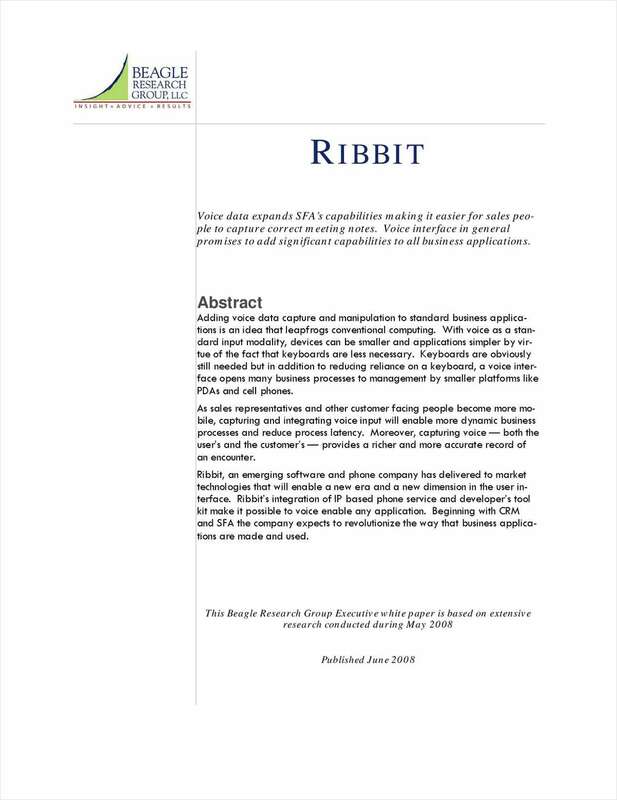 "Turning Leads into Sales for Salesforce.com users with Integrated Voice, Messaging in Salesforce.com CRM"
Free White Paper: "Turning Leads into Sales for Salesforce.com users with Integrated Voice, Messaging in Salesforce.com CRM"
If you are a Salesforce.com user, Ribbit can unify your mobile phone, CRM, and email. Voice-to-text transcription drives sales productivity. By submitting this content request, I have legitimate interest in the content and agree that Ribbit, their partners, and the creators of any other content I have selected may contact me regarding news, products, and services that may be of interest to me.